Mann Ki Baat: PM Modi addressed the nation in his first Mann Ki Baat broadcast of this year. 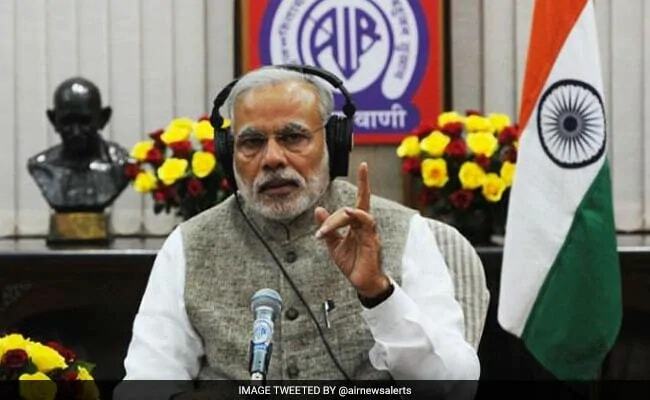 A day after the country celebrated its 70th Republic Day, Prime Minister Narendra Modi addressed the first edition of his popular monthly radio broadcast 'Mann Ki Baat" of the year 2019 today. Prime Minister Narendra Modi began his 'Mann Ki Baat" speech by paying tribute to Sri Shivakumara Swami of Siddaganga Mutt, he also congratulated the Election Commission for holding elections in such a large scale and for their hard work during the polls. The radio podcast, which is the first one in 2019, will be broadcasted on the entire network of All India Radio (AIR) and Doordarshan. The programme will also be streamed on the YouTube channels of the Prime Minister's Office, Information and Broadcasting Ministry, AIR and DD News. In the last episode of 2018 Maan Ki Baat, PM Modi summed up the government's achievements, while hoping that India will continue its journey of development in 2019. PM Modi begins his Mann Ki Baat by paying tributes to Sri Shivakumara Swami of Siddaganga Mutt who passed away on January 21. PM Modi praises Election Commission, security forces and everyone else who was involved in the electoral process of ensuring free and fair polls across India. This year, the Lok Sabha elections will be held in our country and this will be the first time that 21st century born youth will vote. An opportunity has come for them to take responsibility of the nation on their shoulders. Subhas Chandra Bose will always be remembered as a heroic soldier. He played an important role in the freedom struggle.With his slogans like 'Dilli chalo', 'Tum mujhe khoon do, main tumhe azadi dunga', he created a special space for himself in every Indian's heart. The PM encouraged people from across the country to visit places associated with India's historic brave hearts and artists, including Subash Chandra Bose, BR Ambedkar and Rabindra Nath Tagore. PM Modi remembered Vikram Sarabhai, credits him for India's space programme. We are using space technology to improve delivery and accountability of government services. Under the "housing for all" scheme, 40 lakh homes of 23 states have been geo-tagged. Along with this, over 3.5 crore properties under MGNREGA were also geo-tagged. On October 2, 2014, we started a memorable journey together to clean our country and to get rid of open defecation. With the support of the people of India today, India is rapidly moving towards becoming an open defecation free nation ahead of October 2,2019. This will be a true tribute to Bapu on his 150th Jayanti. PM Modi talked about exam Warriors, wishes students, parents and teachers luck for exams; announces that he will address students directly on January 29 in special show - Pariksha pe Charcha. The discussion will focus on stress free exams. In this memorial journey of clean India, Maan Ki Baat listeners have also contributed a lot and that is why I am happy to share the fact that more than 5 lakh villages and more than 600 districts have declared themselves open defecation free. Sanitation coverage has crossed 98% in rural India and toilet facilities have been provided to nearly nine crore households.